Teaching your children how to care for themselves is an important part of their physical and emotional development. Learning how to brush, wash, and get dressed every day is a big step that requires lots of help from adults. One of the best ways to teach children how to do these everyday tasks themselves is to make their environments accessible and familiar. 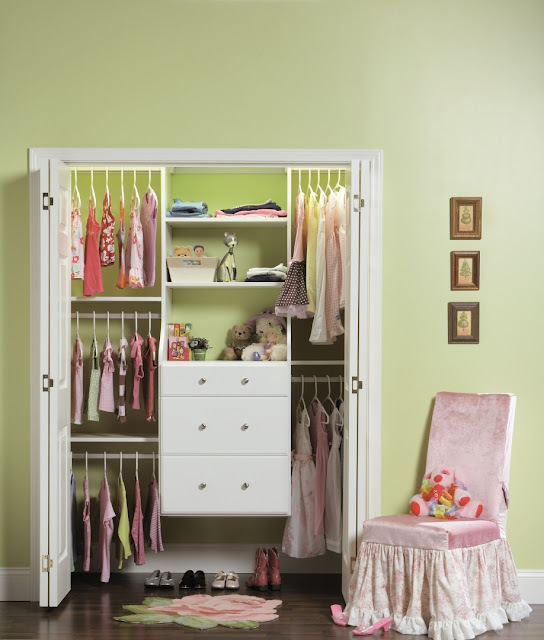 Here are some tips for creating a bedroom closet that will help your little ones help themselves during their daily dressing routine. Most furniture companies now produce child friendly beds, dressers, and wardrobes that sit lower to the ground and allow for maximum accessibility. Built-in closets, on the other hand, aren’t generally fit for purpose when it comes to kids. Set up your own closet with clothes rails, shelves, and storage bins that are lower and easily reached by your children. Make sure any bins are open so your kids know what goes in each space, or choose clear or wire baskets so they can see directly into them from the sides. After you’ve set up your child friendly closet, affix labels to each shelf and/or bin to help your kids remember which items of clothing go where. For younger children, large print labels with photographs of the type of clothing work best and can be made easily at home. If, like us at Modernize, you like to take your organization a step further, create sections for each day of the week. This way, your kids can choose outfits ahead of time and save you time in the morning. Probably the most important part of a functioning, independence-building kids’ closet is cleanliness. Finding clothes in a disorganized, cluttered space is next to impossible for adults and will feel positively overwhelming for children. Because kids grow so quickly, regular reorganization of their closet space is a necessity: make sure to remove clothes that are too small, out of season, or no longer worn for one reason or another. Encourage your children to put away their own clothes after they’ve been washed, and remind them to keep the space the way they would like to find it. In addition to keeping a regular cleaning schedule, it’s a good idea to encourage your kids to choose their school or activity outfits the night before. If you’ve set up day-of-the-week hangers or shelves, put these outfits in their designated spaces, or hang them on the door of the closet so they’re ready in the morning. After you’ve completed this task together a few times, your children should get the hang of it and hopefully repeat the exercise every day. This routine is not only great for your children because they get to choose their own clothes (within reason, of course), but also great for you because you will save yourself a regular morning struggle of choosing outfits. Guest article courtesy of Kaitlin Krull.